TAFE International has for the past 20 years, been preparing students for entry into the global economy and being successes. TAFE Western Australia education and training courses are internationally recognised. TAFE WA provides students with a satisfying learning experience. Courses are nationally accredited and students have the services of highly qualified and experienced teachers. Are you interested in studying at TAFE Western Australia? Here is some information that will help International Students make it a whole lot easier. 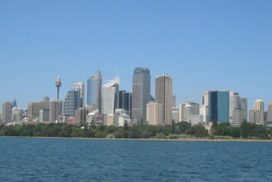 Looking to study in Australia? Western Australia is a friendly and affordable place to live, not to mention how beautiful and sunny it is. It is the perfect place to study whether looking for a pathway to university, or wanting to get a foot into the career world. TAFE WA is the largest provider of vocational education training in the state. At TAFE WA you can chose from 200 courses, TAFE WA is renowned for its highly experienced staff and modern facilities. It promises quality learning and practical experiences, ensuring that students graduate with skills that are highly valued by future employers. International students, who want to study at TAFE WA Colleges are assisted by the Go to Australia student counselors. They help students with every step on their way to successfully get into Australia and a TAFE WA College. 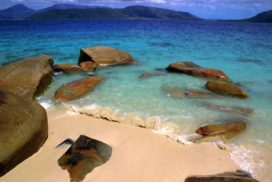 Contact one of our student counselors per email and apply to study at a TAFE in Western Australia. 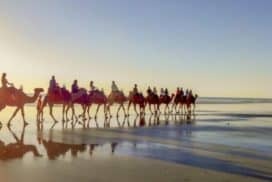 From the lushness of tropical rainforests through the tremendous heat of the desert regions to the magnificent vineyards of the south, Western Australia impresses with its diversity. 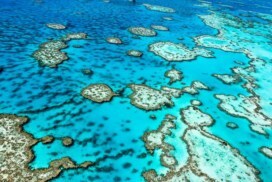 As the biggest state in Australia it covers an area of more than 2.6 Million square kilometres with a population of only 2.1 Million. Despite this vastness the ten TAFEs in Western Australia have established a network of education and training. Only through the staff’s determination and the use of the latest information technology has this extraordinary achievement been possible. The densely populated area around the capital city of Perth boasts four TAFEs. 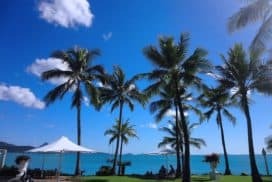 In addition to that six regional colleges are spread throughout the rest of the state and provide education even in the remotest areas such as the Kimberley or the Pilbara. 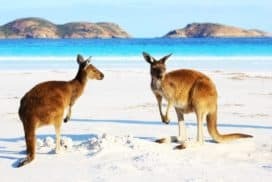 For students who are looking for a true outback experience, natural wonders in abundance and a diversity that never fails to amaze, Western Australia might just be the place to go. Applications and Enrolments for international students are conducted through AA Education Network. Please contact our student advisors for advice specific to your interest and situation. TAFE (Technical and Further Education) Western Australia (WA) is a network of Government colleges, owned and operated by the Western Australian Government. It is the largest, most widely recognised provider of training in Western Australia. TAFE Western Australia offers courses to international students in study areas such as Aeronautics, Art & Design, Business & Management, Commerce, Computing & IT, Community & Health Services, Engineering, Hospitality, Mass Communication, Maritime, Travel & Tourism and many more. TAFE has excellent English language campuses which offer Academic and General English, also Cambridge English Courses and Business English. Students who complete either a Diploma or Advanced Diploma can enter into many Australian Universities and receive some credits. TAFE WA serves a very important function in the educational system. Its primary purpose is to provide students with the specialised skills necessary to find employment. It was established over a 100 years ago and has enjoyed enormous success. TAFE WA works very closely with industry and business to develop excellent courses and training which are needed in the modern workplace. Students studying at TAFE WA gain practical experience which certainly helps them to be competitive in finding good employment. TAFE WA courses are both academic and practical. Most international students come to TAFE WA to learn valuable skills to add to the qualifications they already have in their own countries. TAFE courses increase the possibilities of a good career with an “international experience and qualification”. International students benefit by mixing directly with Australian students in small classes (much smaller than at university) and students are assessed as they study. If they do not succeed in passing a module they can try again and not have to wait another year! TAFE prices are very competitive compared to other institutions. TAFE WA has multiple campuses in Western Australia and the metropolitan area in and around Perth. Each campus has free internet and e-mail access, so students can keep in touch with family and friends at home. Student restaurants are located at each campus which offer inexpensive, nutritious food throughout the day. English language teachers are highly qualified and because TAFE Diploma and Certificate courses are developed closely with industry, staff who teach these courses have practical as well as pedagogic experience and they are always ready and able to assist international students because class sizes are small. Please refer to our agency for up-to-date details of our extensive course list and current fees. Students need to be at least 17 years old to study English language courses. To study TAFE’s Diploma and Certificate courses students need to complete an Application Form, provide proof of English ability (or sit the TAFE Proficiency Test) and also provide their most recent academic qualifications for TIWA to assess. Students choose a course, fill out an Application Form (available online, or by request, or through one of TIWA’s agents) and send this form to us. We will send an Offer Letter to you. If the student wishes to accept the Offer he/she will need to pay for the course and then apply for a visa. If the course is more than 12 weeks the student will need to apply for a Student Visa. English language courses have multiple intakes every year. Mainstream courses (Diplomas and Certificates) mostly have 2 intakes each year in February and July. Again, check the website for precise dates. TAFE WA pays particular attention to student welfare. Throughout their courses, students can talk in confidence with our qualified Student Advisors about lifestyle issues, problems or anything which affects their ability to study. A qualified Counsellor is also available for students. International Centres are also located at major campuses, which provide extensive support to international students. There are many opportunities to combine study and have fun in our wonderful sunny city and we’ll help you to do this. TAFE WA can reserve an Australian family homestay or hostel accommodation free of charge. 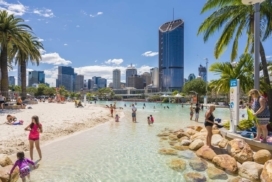 Another option is sharing an apartment and some very inexpensive apartments can be found in Perth. For current costs of accommodation, please contact us. TAFE WA offers 200 courses to chose fromcovering almost every area including: English, Languages, Communication, Business, Engineering, Computing, Science, Art and Design, Media, Health, Horticulture and Land Management, Hospitality, Tourism, Clothing, Maritime, Aeronautics, Animal Studies and much more. Not all TAFE WA courses are available to international students. International students are required to complete 20 hours of studies per week. Therefore, courses with less than 20hrs/week and part-time study are not available. Most courses commence in January and July throughout the year. There are no fixed deadlines for applications. However, it is recommended that you plan enough time to process your student visa, application and travels to Western Australia before your course begins. Some courses such as Music and Media require to submit a portfolio as a part of the application. These courses have deadlines that close earlier. It is advised to be aware of these requirements, so that deadlines are met. English courses allow students to commence their studies each Monday as they run throughout the year. If you need any information on a specific course, you can contact AA-Education per email. If you like the inner city life, you will enjoy studying at Perth Campus. The ELICOS program at North Metropolitan TAFE is delivered in partnership with Navitas English (CRICOS provider code 00289M; RTO provider code 0927). Facilities at the Perth campus include: > Modern, well equipped teaching and learning spaces > Wireless internet access and fully equipped computer labs > Library and independent learning centre with computers, international and local newspapers and journals, and thousands of relevant books, videos, CDs, DVDs specifically designed for English language learners > Bookshop for all student needs > Gymnasium on the premises > Café and banking facilities > International student kitchen, garden courtyard and outdoor eating areas > Prayer room > Art Gallery > Massage + Beauty Therapy Services Just email us to receive more details, the application form and help with the usual administrative hurdles. More about English Courses in Australia. Can I start at TAFE WA by studying in an English course? Your level of English will be assessed in any case before classes begin so that you begin at the right level for you. There are two language centres that offer English Language Intensive courses for overseas students. You will study under the guidance of highly trained teachers, who will focus on emphasizing pronunciation, literacy and grammar. Study takes place in small classes so that you will enjoy the luxury of one on one teaching. The centers have well-equipped facilities, which include computer language laboratories and libraries.Upon the completion of your course, you will be presented with a Certificate of Completion, along with a progression report. Classes can be commenced at any time, and you can choose the appropriate course length for your needs. International students are required to pay full tuition fees before every semester; they are not eligible for government concessions. However, TAFE WA costs are very low compared to most of the other Australian universities. These fees do not include other expenses such as books, accommodation, meals, transport, health cover, and airfares. TAFE WA College provides international students with assistance and advice throughout their studies. This includes orientation programmes, visa and attendance requirements, accommodation, health care, ID cards and student advice and support. 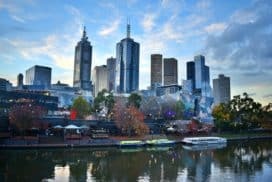 Can I use my TAFE WA qualification to enter university in Australia? Studying at TAFE WA is an excellent pathway to university for International students. TAFE WA Colleges can provide you with the right qualifications and arrangements to enter an Australian University. Can I get recognition for the study, training and experience I’ve obtained overseas? International students can obtain recognition of prior learning and skills if they relate to the course they are studying. This however does not reduce fees for the course, and can be more expensive due the need to take extra courses in order to maintain a full-time study load. The Australian Government provides this information through the Department of Home Affairs website. Who to contact for further InformationTo receive free information information about studying in Australia, you can contact AA-Education per email. TAFE WA is government owned and operated, and offers high quality nationally recognised vocational courses for students wanting industry training and practical skills for employment, or to value add to previous studies. We currently welcome students from over 94 countries who are studying one of the courses available including Business and Management, Health and Community Services, Hospitality and Tourism, Design and Multimedia, Information Technology, and Engineering, Building and Construction. 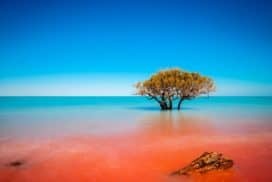 Western Australia is unique and offers many extraordinary experiences. 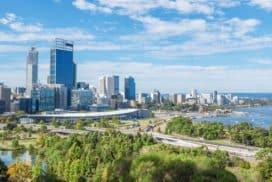 The capital Perth is cosmopolitan and welcoming, and in 2016 was ranked in the top 10 of the most liveable cities in the world (Economist Intelligence Unit). 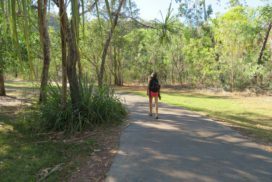 With beautiful beaches for swimming and snorkelling, amazing bushland for hiking, art galleries, live music and outdoor concerts, there is adventure to be found everywhere. "The Endeavour award is a life changing experience. It made my dream of becoming a pilot, which had seemed a utopian idea while I was living in Romania, an achievable goal. Western Australia has the best weather conditions for flying, which is why several world top airlines train their cadets here. However, having a 9 month summer has many advantages besides never being grounded. 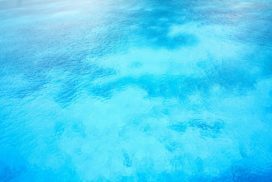 You can finish a day of study with a swim at one of Perth's beaches, have some fish and chips in Fremantle and enjoy the sunset. At the end of the week there are a lot of choices for relaxation as well, you can try surfing, visit the islands nearby or if you seek the best flying experience, go gliding! As a glider pilot, I will never forget an Aussie thermal. It may sound incredible, and it is! Keep your eyes on the stars and your feet on the ground. It is possible and it is the best feeling to be on the right path. I would advise anybody who has a strong vocation and needs to fulfil it, to apply for an Endeavour Award. You have nothing to lose and everything to gain." The Endeavour Vocational Education and Training Leadership Program provides financial support for international applicants to undertake vocational education at a Diploma or Advanced Diploma level, for up to two and a half years. Vocational education and training provides occupational or work-related knowledge and skills. The Australian Government Department of Education and Training administers the Endeavour Leadership Program. For questions about the program, please see the information here. Tuition fee maximum: $6,500 per semester (this includes student service and amenities fees). travel insurance (excluding during program for international recipients). Applications for the program close on 15 November 2018. Please also be aware students must meet all TAFE WA admission requirements, in addition to the leadership program requirements.